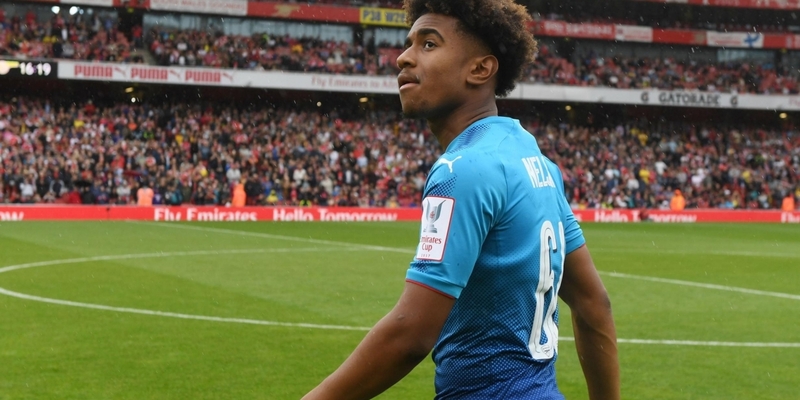 Zimbabwe target and Arsenal ace Reiss Nelson is reportedly holding out on signing a new contract at the Emirates. The 18-year-old is highly rated at Arsenal and has been integrated into the Gunners first team this season. According to Daily Star, a UK tabloid, the attacker’s future at Arsenal is currently up in the air, with Nelson assessing the options available to him. He is out of contract in 2019 but the London-based side is keen to tie him down with a long-term deal. Nelson, who has featured for England’s junior sides, is being targeted by the Zimbabwe Football Association (ZIFA) to play for the Warriors. He was born in England to a Zimbabwean father and English mother which makes him eligible to play for the national team.